I’ve recently had a lot of fun discovering new ways to use fresh cranberries. In the past, I have simply bought them for our traditional cranberry sauce and left it at that. This year, I already have plans to use them in numerous ways over the next few months. I can hardly wait! If you haven’t bought fresh cranberries before, it couldn’t be simpler. They stay fresh in the refrigerator for weeks and for at least 6 months or more in the freezer. (I’ve been known to keep them for a year or two in the freezer without any problems!) I just buy them when they go on sale and hang onto them until I’m ready to use them. 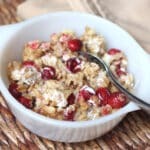 This oatmeal was a great combination of mostly sweet oatmeal with a bit of tart from the cranberries. The kids loved it even more than I did. 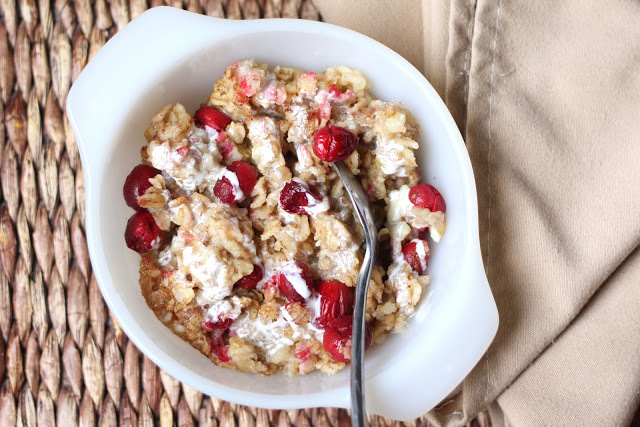 If you like cranberries, you will probably love this combination! Place the cranberries and the dry ingredients in a large bowl and toss to combine. Pour the melted butter over the dry ingredients and stir lightly to coat. Add the eggs and the milk and stir once more. Grease a 7x10 pan (or 9x13 if you want to double the recipe). Pour the oatmeal mixture into the pan and cover with lid or foil. Place in the refrigerator overnight. In the morning, uncover the pan, stir and place in a cold oven. Bake at 350 for 40-45 minutes or until set in the center. Let cool 5-10 minutes before serving. You can serve this sliced or scooped into bowls. I like mine broken up like warm granola in a bowl and my kids prefer to eat theirs like a slice of cake. Enjoy! 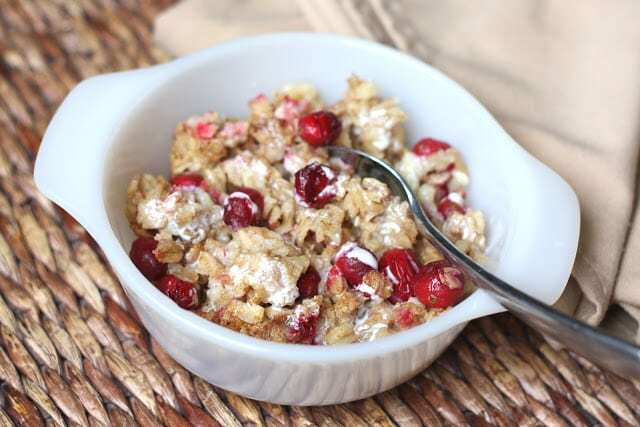 Fresh cranberries are always a welcome addition to any dish and your oatmeal look delicious. Once in a while we'll use the slowcooker to make overnight oatmeal. "In the morning, uncover the pan, stir to place in a cold oven. 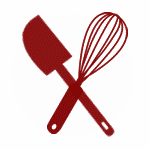 Bake at 350 for 40-45 minutes or until set in the center." That is correct. Just place the cold pan in the oven and it will warm as the oven heats. Enjoy!